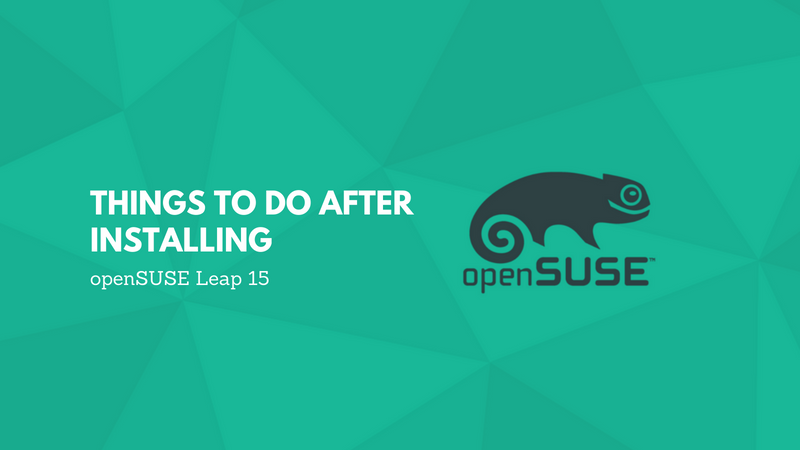 Brief: This is a quick list of essential things to do after installing openSUSE Leap 15. The steps mentioned here aims at helping beginners in setting up their desktop for a smooth and better experience. openSUSE Leap 15 has finally landed today. We have also recently discussed the new features in openSUSE Leap 15. You may have already gone through the release notes and have it installed (or planning to). If you’ve noticed, openSUSE Leap 15 gives you an option to choose whether you want to use a KDE desktop environment or the GNOME desktop. Your user experience will depend a lot on your choice of desktop environment. 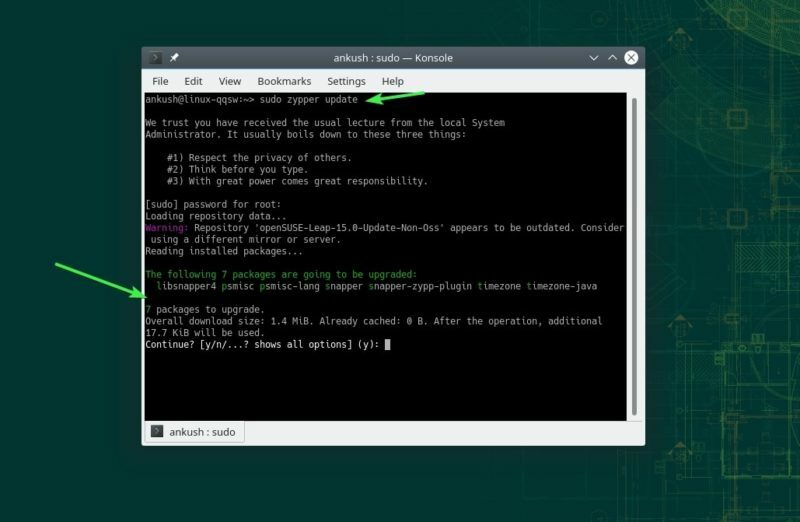 However, there are certain things that you need to do after installing openSUSE Leap 15. Fret not, we have compiled a list of our recommendations below. I should mention that I am slightly new to Linux and completely new to openSUSE. This is why this list is from the perspective of a beginner. And that actually is the aim of this article: to help make the experience of openSUSE beginners better. Alright! 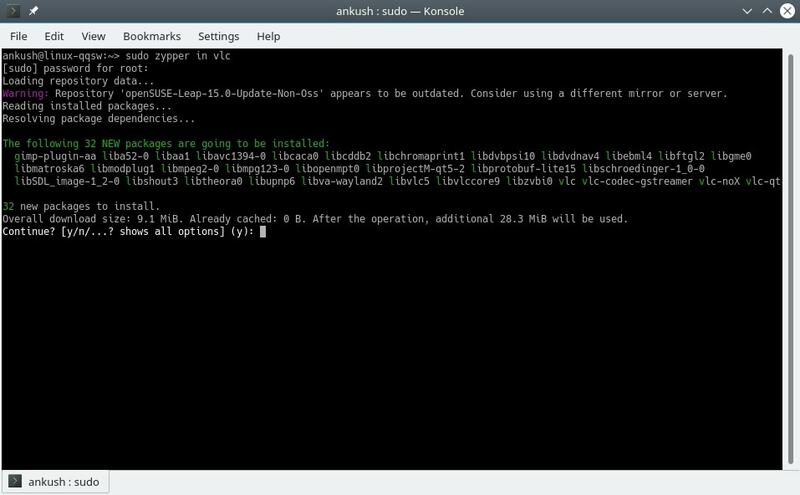 Let’s see what are various steps you can follow after a fresh install of openSUSE 15. As soon as you get it installed, you should perform a system update to ensure that you have the system coherent with the latest updates. Well, it’s not just a recommended action to do after installing openSUSE Leap 15, you should ensure that you always have the latest updates installed to avoid any kind of issues. We’ll talk about installing essential software tools from 3rd party repositories in the later section of the article. To start with, you should start installing the applications that are available in the official openSUSE repositories. Do note that 3rd party repositories may come with some potential risks. The packages are not tested by openQA – in case you are wondering. 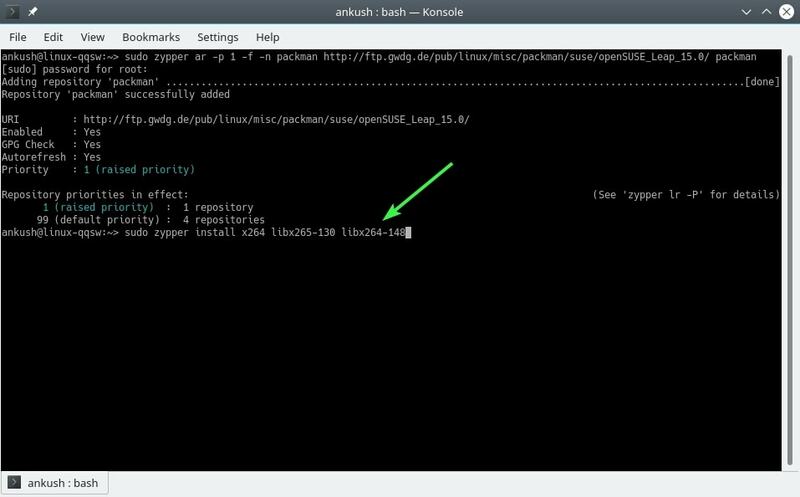 The Packman repository offers additional packages for openSUSE. So, if you know what you are downloading, you may go ahead and enable the Packman repository. We recommend enabling the Packman essentials if you mostly rely on the official repos of openSUSE. Note: You will need to enable the Packman repository to install these codecs. Quite a few multimedia codecs are not supported by default on openSUSE. For more details on it, you can read about the restricted formats on openSUSE on their official website. Depending on what GPU you have equipped, you may try installing the latest proprietary drivers. If you have an AMD GPU, you should head on to its official driver download webpage and manually select/download the driver while following the instructions mentioned. The discover portal (the software center) on openSUSE Leap 15 can be utilized to browse and install the software that you need in a single click. At least, to start with, you need to have some of the essential applications installed on your system. 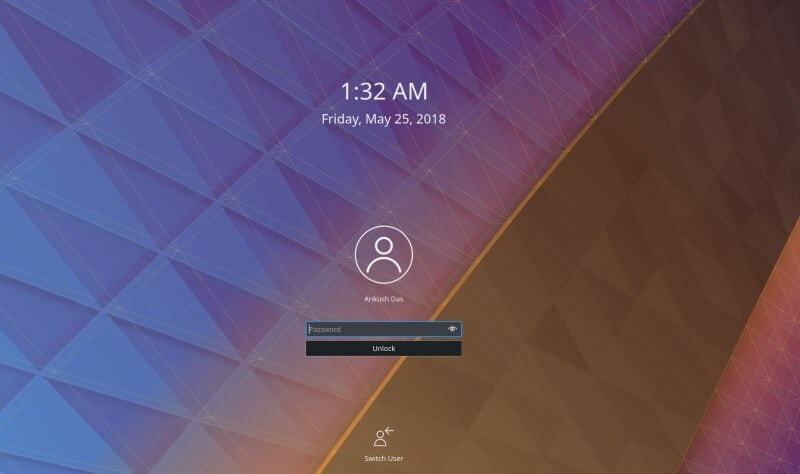 In this case, we are using KDE Desktop on our system. You can customize the look and feel of your desktop from the system settings itself. 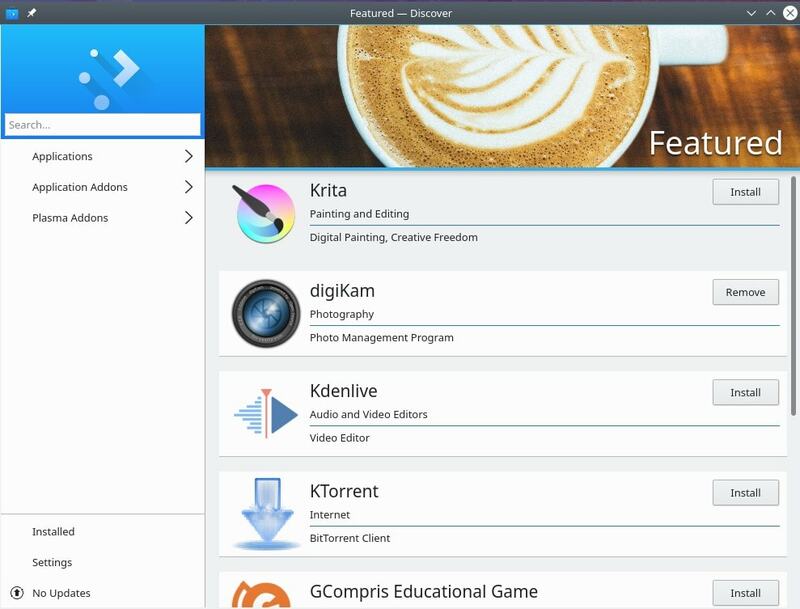 To learn more about how to customize your KDE desktop, you may refer a resource article by the Linux Foundation. In either case, if you opt to use the GNOME desktop, you should install the “GNOME tweaks” and start tinkering with new themes and icon packs available. We have an entire article dedicated to tweaking GNOME in Ubuntu 18.04. Most of the steps would be applicable to openSUSE as well. To make things even interesting, you should check out the best GNOME extensions to enhance your desktop experience. YaST, which stands for Yet Another Setup Tool – is a system administration tool for Linux (openSUSE) to control and configure almost every aspect of your operating system. 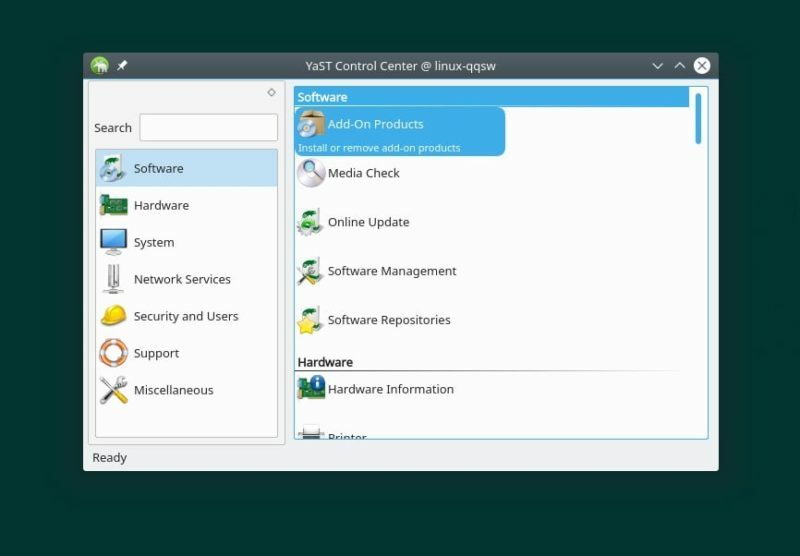 If you’re using openSUSE for the first time, you should note that the YaST control center can get a lot of things done easily. 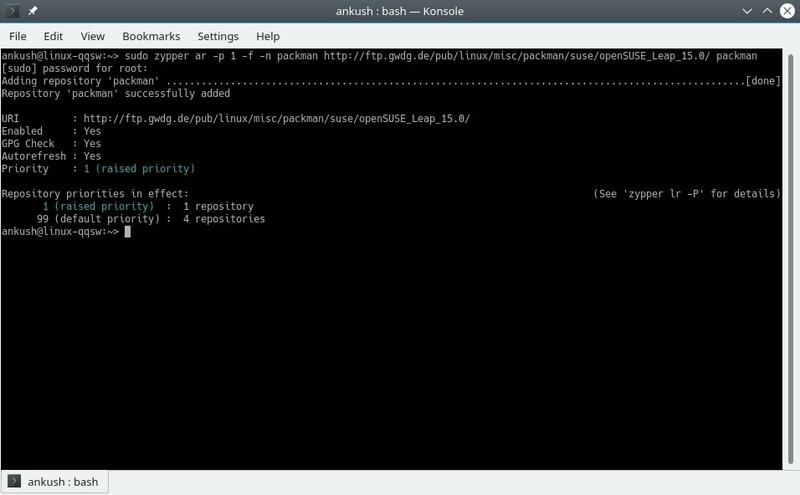 You can also use RPM packages in openSUSE. You do have some options to manage the power from the system settings. However, if you utilize Linux on a laptop, you may want to reduce the battery usage. To help you with this situation, you can install TLP – which is an amazing tool that monitors your computer and implements the best techniques (automatically) to optimize the battery life of the Linux-powered system. You should also consider installing this if you want to prevent overheating in Linux laptops. You might have explored customizing the theme or applying an icon pack to enhance the user experience on your system. However, a lot of us forget about customizing the login screen. With openSUSE Leap 15 installed, you can customize your login screen by navigating through System Settings -> Startup and Shutdown -> Login Screen. You won’t get a lot of advanced customization options but it is still something you can try. Unquestionably, there’s a whole lot of other things you can do after installing openSUSE. Here, I mentioned a list of potential things that should help users to get a head start after installing openSUSE Leap 15. Have you tried openSUSE Leap 15 yet? If yes, how’s the experience so far? Let us know your thoughts on what you’ve been doing after installing openSUSE Leap 15 in the comments section below. ” Install TLP for better power management ” – I think most people might have realized already that TLP is included in openSUSE and is set up in the system….no need for separate installation and start of it. Very Weird thing happened in Leap 15.0 doing updates last night (2-23-2019). It showed over 1200 updates to be done and when it finished things like Yast and my second monitor no longer worked. When I rebooted I discovered my system was now running Tumbleweed instead of Leap and many things still didn’t work anymore. Decided to try openSuse Leap 15 KDE on VirtualBox. Chose the smallest iso, which turned out to be the net install. Took 2 hours to finish set up because of all the downloads (my bad!) but all went well after that. Still testing but seems quit configurablean and stable. Learning RPM is another string to my bow.